J&M Recommends is a monthly deep dive into what our team is currently digging. Filled with creative inspiration, mindless entertainment, and everything in between, there's a little something for everyone. This month's recommendations come from Art Director Mariella McNeany. As a fan of the original game, I had to download the new version for iPhone! While it's not quite as robust as the Nintendo game, it does introduce some new elements and still offers the same charm. Just 15 minutes a day will keep your town in tiptop shape! I was recently gifted a free trial of Plated, a delivery service that sends you fresh, pre-portioned groceries and new recipes to cook with the ingredients — perfect for someone who enjoys cooking, but needs a little inspiration. And each recipe is curated based on your taste preferences! 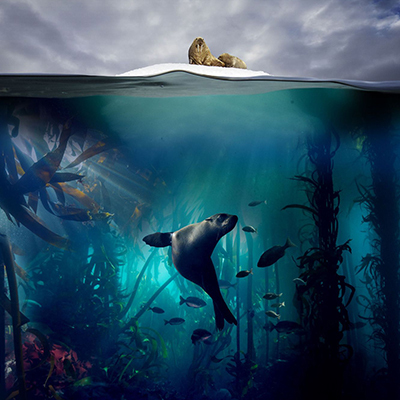 I waited (not so) patiently for the second edition of the beloved Blue Planet series to make its way to Netflix last Christmas. Sir David Attenborough returns to teach us about the weird and fascinating lives of animals we never knew existed. A must-watch for anyone who enjoyed the Planet Earth series! Mariella McNeany is the senior art director at James & Matthew. She joined the team in 2016 and lives in Chicago, Illinois with her husband and a grumpy chihuahua named Austin.